Wow, twelve weeks ago my sister was visiting from Jamaica, times does fly when you are having fun. This wash day I intended to do my relaxer touch-up but I did not have any relaxer at home so I did a regular wash day. My new growth this stretch is fantastic; this is the first stretch since the beginning of my healthy hair journey that I have close to 2 inches of new growth in most spots. However, with all that joy comes shedding, my hair is shedding more than normal not sure if it is the change in weather (fall in in full swing) or just stress. Anyway here is how my wash day went. Prepoo with my Loreal total repair 5 conditioner, coconut oil and grapeseed oil mix. I had this mix left over from last wash day so I put the jar (my empty cantu jar) in the microwave for 30 seconds to warm the oils up. 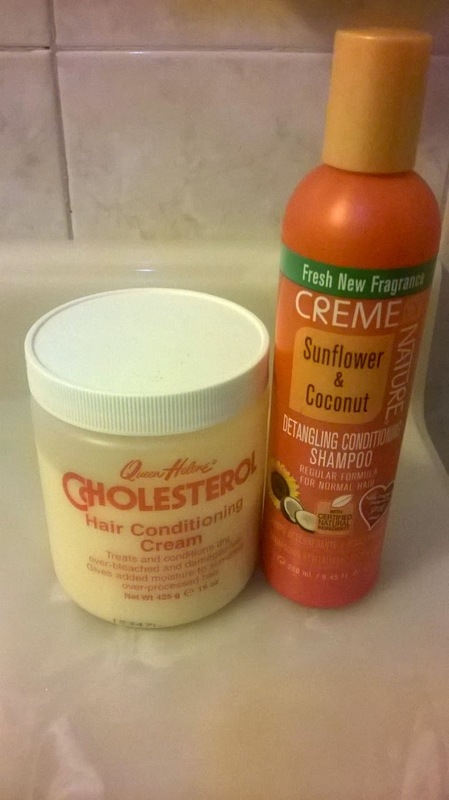 I must tell you I may do this again on future wash days; the warm mixture melted in my hair instantly, I put on the conditioning cap for 10 minutes just to get the added benefits. After my hair was cool I rinsed with warm water. I was in hair heaven because my hair was so soft. Shampoo with Creme of Nature Sunflower & Coconut detangling conditioning shampoo, as usual I only lather once. This shampoo is my all time favorite it leave my hair so soft and all the tangles just slip out. The only issue I have is that at times it is difficult to find. Tea rinse with my black tea brew; I brew four bags and let it cool before repeatedly pouring it our my head for about five minutes. After allowing it sit for a minute or two I rinsed the excess out with cold water. Deep conditioned with Queen Helene Cholesterol hair conditioning cream under my conditioning cap for 30 minutes. I picked this up the last time I was at the Beauty supply store because it came highly recommended by my sister-in-law. The smell reminds me of antiseptic, but besides that it conditioned like a dream. After allowing my hair to cool I rinsed with warm water and finished off with cold warm. I was worried the my hair was going to feel hard but I had the opposite results. My hair was soft and well conditioned, my on cloud nine feeling continues. T-shirt dry for 10 minutes, then allowing it to hair dry or another 15 minutes before applying my leave ins. 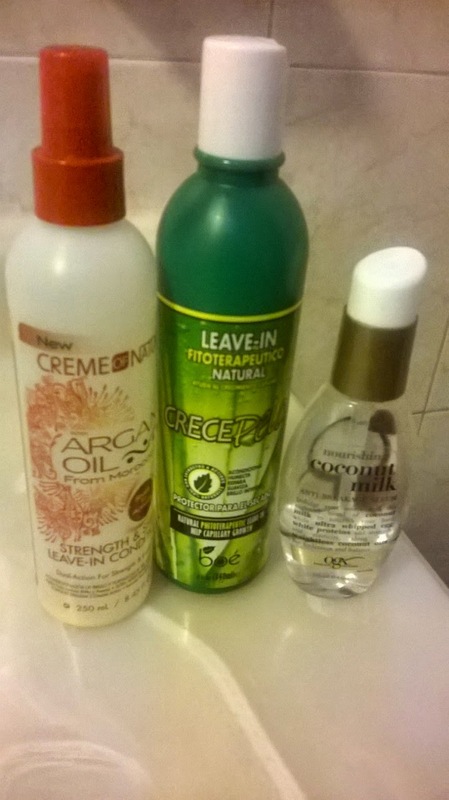 Leave In- Sprayed my roots with Creme of Nature strength and shine leave in conditioner and apply Crecepelo leave in in conditioner and OGX anti-breakage coconut milk serum to the rest of my hair and allowed to completely air dry. Once my hair was completed air dry I set with roughly 12 flexi rods so I could have big wavy hair for my big date. I love the result and was super excited that I could have such a fabulous do at twelve weeks post. I wish I had taken picture before leaving but I was running late and the curls became an Afro puff by the end of the night. Three cheers to a great wash day. 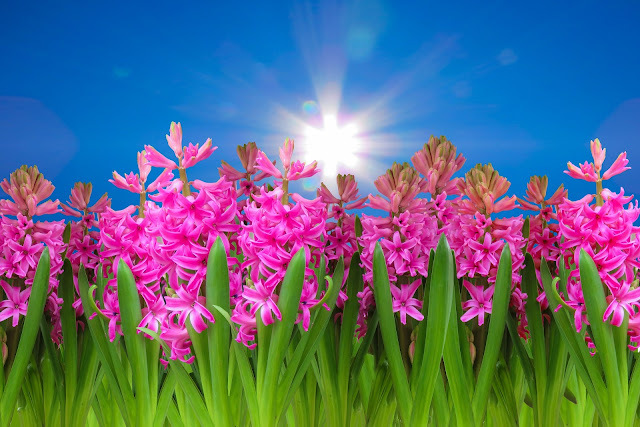 Hope yours was just as lovely. I have heard using the conditioner but nit taking the pills, I will certainly look into get the pills. Yeah shedding is annoying, I second the garlic tablets suggestion! :-) Congrats on your relaxer stretch! It seems like everyone is shedding, it may be the weather. Do you notice a reduce in shedding after your tea rinse? the tea rinse does slow it down but this past week my mid week it picked up again. That's a really good idea---warming up your pre-poo before applying it. Did you detangle before you applied it to you hair? Congrats on making it 12 weeks post chica! Keep up the good work! thanks for allowing me to share my #washdayexperience. I do finger detangle before applying. Yay for making 12 weeks. That's awesome. If shedding doesn't halt soon, try something like Alter Ego Garlic conditioner. It's expensive but goodness, it works. I totally forgot about Alter Ego (shame on me), yes it does work. I have a jar so I will definitely use it my next wash day. Congrats for making 12 weeks. That is awesome! You have reminded me about warming up the prepoo before applying and also tea rinsing. Hope your shedding goes down. Thank you, I am hoping to see less shedding this coming wash day (fingers cross).